The basketball team goes on the road to the lone star state. They really need to get some consistency going. The loss to USM was unacceptable. Go F I U! I watched that game on panthervision, the team looked sluggish through out the game. Low energy as Trump would say lol. Hope Coach Evans has the guys refocused. FIU takes the first dance 72-56. Great D and Adrian was out with foul trouble all game. Go F I U! FIU just played a solid first half vs. UTEP miners and we are leading 41-28 at the intermission. Go Panthers! With 14:57 left in the game, FIU is up 51-34 over UTEP. FIU still up big, 66-50 with 7:49 left in the game. Go Panthers! UTEP mounting a comeback. 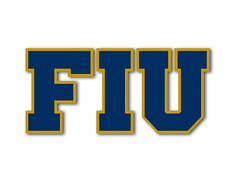 FIU up 70-60 with 4:43 left in the game. FIU wins 79-69 over UTEP to go 2-0 in this Texas roadtrip and improve our record to 11-9 overall and 5-2 in CUSA. Go Panthers!